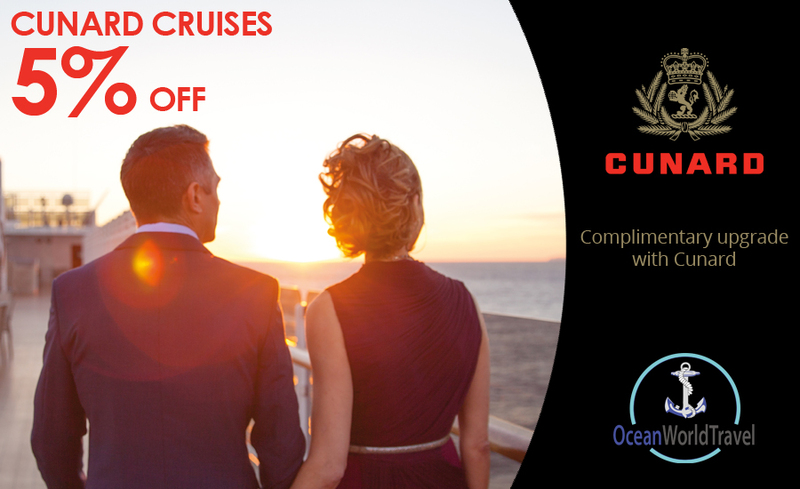 Ocean World Travel are pleased to offer Silvercard+ members a 5% discount on Cunard Cruises plus a free stateroom upgrade until the end of February 2017. What do you get when you book with us? Our extras: we can arrange hotel, parking, excursions, transfers etc. Ocean World Travel aim to make your booking experience as pleasant as the travel itself.